A little baby nine-banded armadillo - definitely the ugliest species of armadillo - drinking out of a hose in Texas, where it's apparently even hotter and drier than usual. Poor little guy! 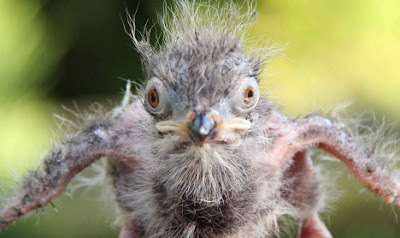 How much do you love ugly animals? Do you go "Awwww!" when you see a picture of a baby vampire bat? From the Philadelphia Zoo thanks to Zooborns. Name this animal! 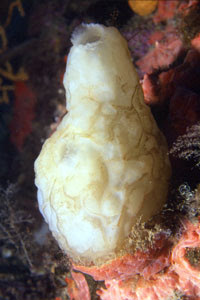 This is a photo of Phallusia mammillata, the largest sea squirt of Britain. Did you know Britain had sea squirts? Were you even sure that a sea squirt is an animal and not, I don't know, some kind of fungus? Well, they do and it is. And along with nine other types of endangered British flora and fauna, it's part of a contest at the Guardian to give common English names to neglected species that currently are known only by their Latin nomenclature. 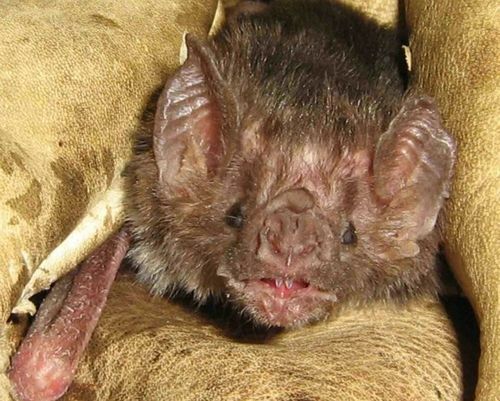 Maybe that's its mouth... That photo comes from a website that has some nice cross-sectional drawings, and even though it is written in French it's quite clear that the critter has some organs that are only found in animals. In fact, the youngsters are tiny larvae that resemble tadpoles, and only later do they settle down into the immobile form you see here. The winners of last year's naming contest included the Queen's executioner beetle and sea piglet shrimp. 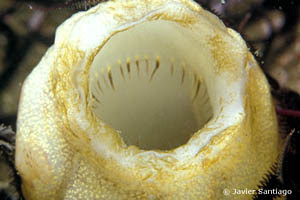 Can you do as well for this lovely blob of sealife? Wouldn't it be cool for the name you came up with to go down in history? Give it a try! I went to the beach this past weekend, and I brought you back something - it's a horsehoe crab. 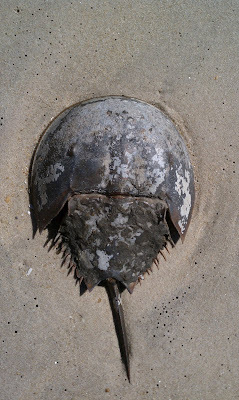 If you wonder why horseshoe crabs deserve a festival, I suggest you check out horseshoecrab.org. It's the website of a group that's devoted to their conservation, and it turns out, they're pretty amazing creatures. Did you know they have ten eyes? And they've been around since before the dinosaurs? And their blood is used to test medical products for bacterial contamination? No, you didn't. Go check it out.